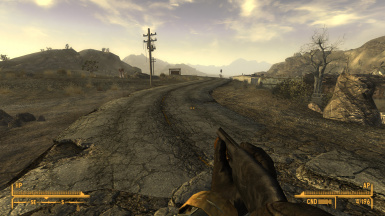 This mod adds a new pump-action shotgun to the game, with a shortened barrel and pistol grip. "This here's my silent partner. Y'all play your cards right, he stays silent. 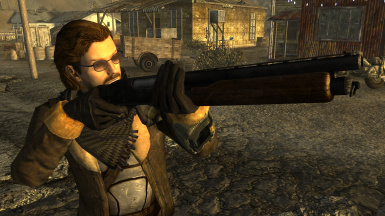 Ain't a lot of folk gonna be too happy if he has to speak up..."
There's just something incredibly badass about a short-barreled shotgun with a pistol grip that makes you feel like a pirate or something. 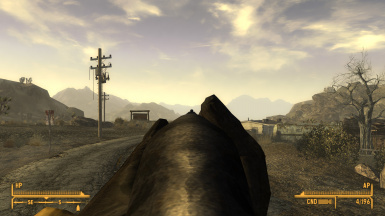 There's the visceral boom when you pull the trigger and it bucks in your hands, filling the air with the intoxicating scent of cordite, and then the smooth rattle of oiled metal gliding over itself as you rack the pump and chamber another round. In this mod, I tried to capture that sensation and let you live out your badass pirate fantasies. 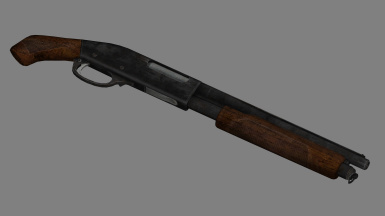 I used the vanilla Hunting Shotgun as a base and shortened the barrel and magazine tube. 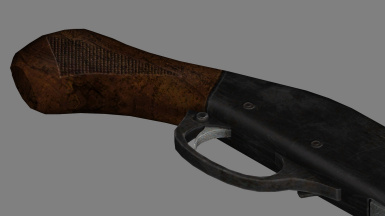 I then removed the rear portion of the stock and stitched the faces together to make the pistol grip. Lastly, I added the sling swivel from the Service Rifle to the front of the magazine tube. Gameplay-wise, this gun's stats are cloned directly from the Hunting Shotgun, except that it only holds 4 rounds, has a greater spread, lighter weight, and shorter range. The strength requirement to use it is also slightly lower. 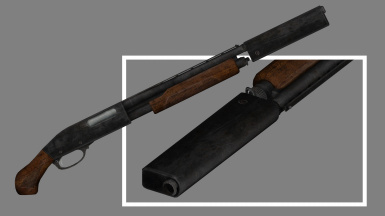 It can accept the Hunting Shotgun choke mod, but not the extended magazine tube. 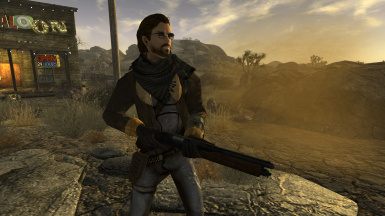 As of v1.1, I've also added a silencer, inspired by the SilencerCo Salvo-12, which can be purchased from vendors around the Wasteland. The weapon has been added to all the appropriate form lists, so that perks and challenges that affect shotguns will work as expected. 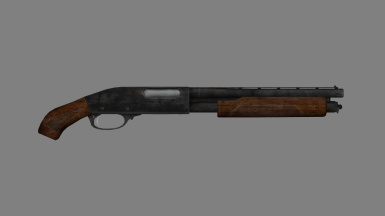 Additionally, this shotgun counts as an improved holdout weapon and can be smuggled into casinos with a Sneak skill of 50 or higher. 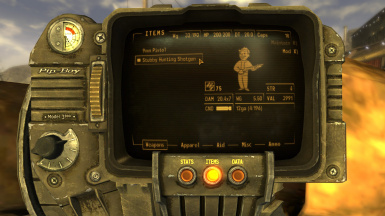 This weapon is also featured in DippyGaming994's Barstow Bunker mod for Fallout: New California.